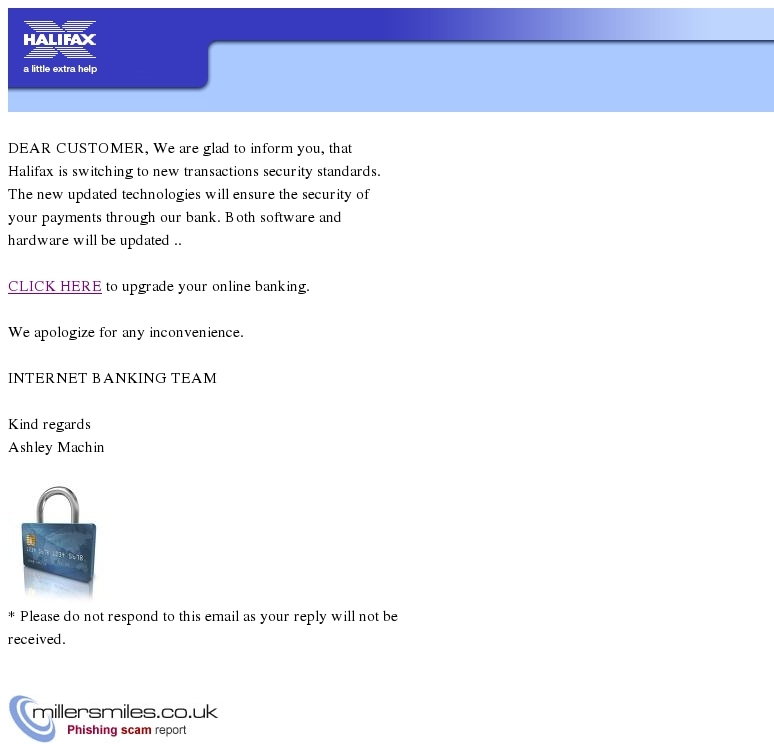 ********** 1 new message from Halifax Bank!!! security of your payments through our bank. CLICK HERE to upgrade your online banking.